I’m obsessed with this shade of turquoise! My makeup and vanity area is my desk and general work space, and since moving I’ve tried to stick to pops of blue here and there to brighten the space. I’ll admit, I bought these brushes because they fit my theme, but I get good use out of them, so it’s surely a win. Firstly, they’re a bargain! At £25 for a set of twelve, you can’t say much about the price. I’d never heard of Miss G Couture’s Complexions range, but this set kept cropping up in my twitter feed, and I’m easily convinced. The sizes are similar overall, but I mostly needed blush brushes so I’m okay with that. The synthetic bristles pick up product well, and do a lovely job of blending. One or two of the brushes don’t feel as soft as the others though, the highlighter brush mostly, but that could just be a flaw in my set though. I like the weight of these brushes, because I can be a bit heavy handed with blending yet they feel sturdy. But so far, they haven’t shed one bit in the weeks I’ve used them. 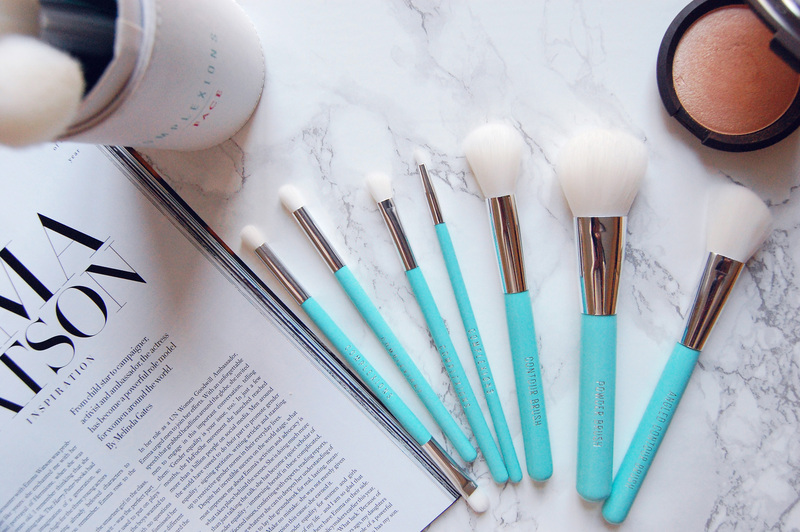 My favourite of the lot is the round contour brush. I’ve always preferred an angled brush to contour, but I can’t get enough of this one! The stippling brush sure isn’t going to stipple anything, and the flat foundation brush is, if you ask me, a complete waste. I’m also not a fan of double ended brushes, but luckily there’s only one. 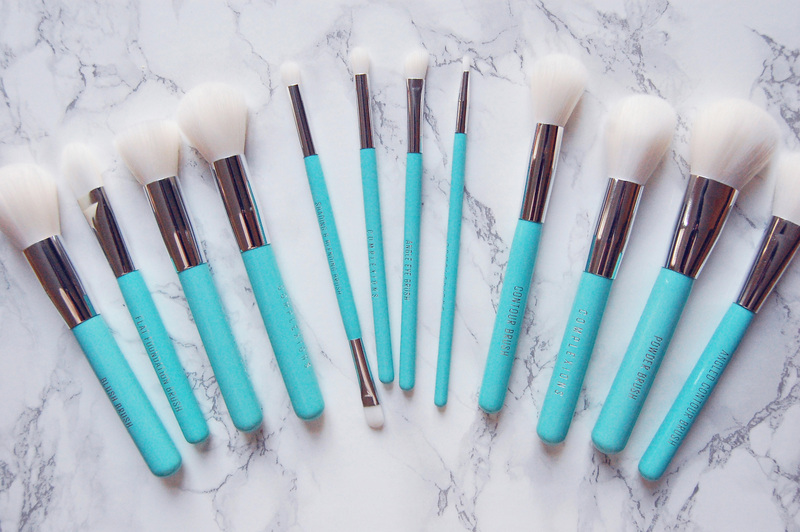 The entire set comes in a cylindrical holder, with both halves doubling as handy brush holders. It would also make a great travel accessory for storing your brushes and keeping them from being damaged. Do you need them? I’m going to say you do! Right now, I’m very keen on colourful, large brushes. Do you have any suggestions? I know what you mean! That's the only reason I bought them at first, but I love them!